We also have tutorials for Weebly, Wix and Squarespace users. 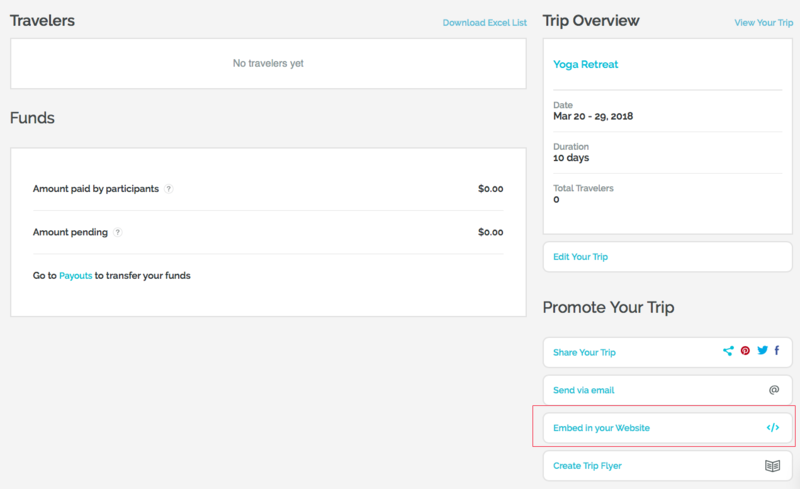 This tutorial will show you how to integrate your WeTravel trip directly into your WordPress site, similarly to inserting a YouTube Video directly into your website. You can add different widgets – a Book Now button, pricing packages with real-time availability or an overview of all of your trips on WeTravel. 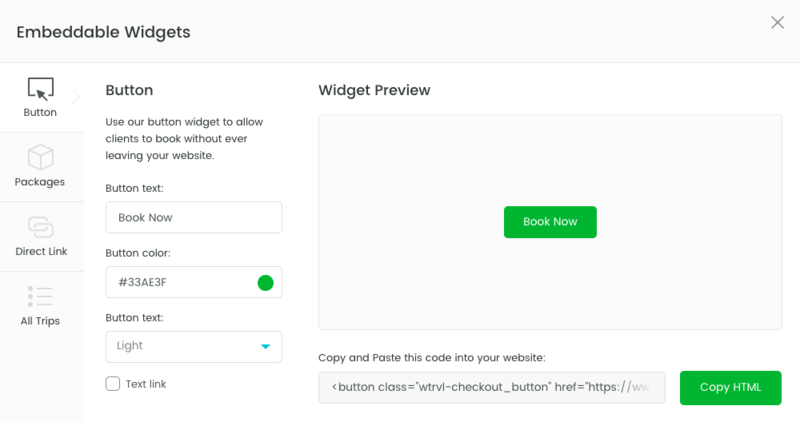 You will now access the widget creator with options to create a Book Now button, pricing packages with real-time availability or an overview of all of your trips on WeTravel. You can also copy a direct link to your trip. Please select, which embedding version you like the best and copy the code. 4) Paste the code that you copied from WeTravel into the blog post editor in “text” mode. 7) Click “Preview Changes” to see if everything looks alright. 8) Click Publish and you are done! How would I do it without the we travel branding etc? With WeTravel’s widget your user never leaves your site when booking the trip and there are no changes to your domain name. There will always be a little “powered by WeTravel” logo on our iFrames, if you’re wondering about that. You could also work with a web designer to make the buttons match even more with your own web design!